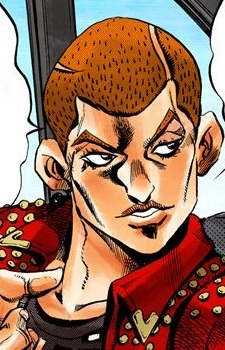 Formaggio is one of the members of La Squadra di Esecuzione. Just like the rest of the group he wishes to avenge his death comrades, Gelato and Sorbet, by finding the identity of Passione's boss. He is seen as a tough person with a sadistic personality.